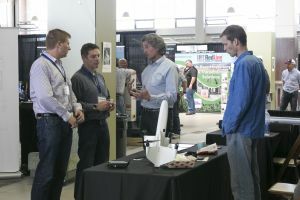 A limited number of tickets remain for the Sixth Annual Salinas Valley Ag Technology Summit on March 27 at Hartnell College in Salinas, as well as for the President’s Opening Reception that will start the event on the evening of March 26. Speakers, panels and exhibitors at the 2019 summit will highlight how industry players can leverage innovation for increased productivity and strategic advantage in an era of rapid change. In line with its theme of “Tomorrow’s Technology You Can Use Today, the summit’s main day on March 27 will feature educational tracks in ag production and ag business. Topics will include the latest in precision crop management, “big data” to accelerate decision-making, blockchain traceability for food safety and initiatives to meet agricultural workforce needs in 2020 and beyond. A third track, offered by the event’s co-organizer, the California Association of Pest Control Advisers (CAPCA), is worth up to five hours of approved credit in continuing education. The summit will open with the President’s Opening Reception from 6-8 p.m. in the STEM Building (S) at Hartnell, featuring local wines and hors d’oeuvres and participation by industry leaders. The main Ag Tech Summit program on March 27 will begin with a continental breakfast at 6:30 a.m. The afternoon exhibition will also include a Beer Hall featuring the Carmel Craft Brewing Co.
Community members, ag industry members, growers, PCAs, CCAs, QALs, pilots, students and participants in ag tech and software industries are encouraged to attend. The event is organized by the Hartnell College Agriculture Business and Technology Institute in collaboration with the Monterey Bay Chapter of the California Association of Pest Control Advisers (CAPCA). The two-day event is organized by the Hartnell College Agriculture Business and Technology Institute in collaboration with the Monterey Bay Chapter of the CAPCA. For registration and schedule information, visit: http://svagtechsummit.com/.